Take a behind-the-scenes look at the upcoming "24: Live Another Day," which brings back FOX's Emmy-winning drama "24" for 12 more high octane episodes that find Jack Bauer, played by Kiefer Sutherland, on the run in London and attempting to stop a global disaster. See more of "24: Live Another Day" tonight on "Extra" and make sure to tune in to the big premiere of the series on May 5 on FOX! 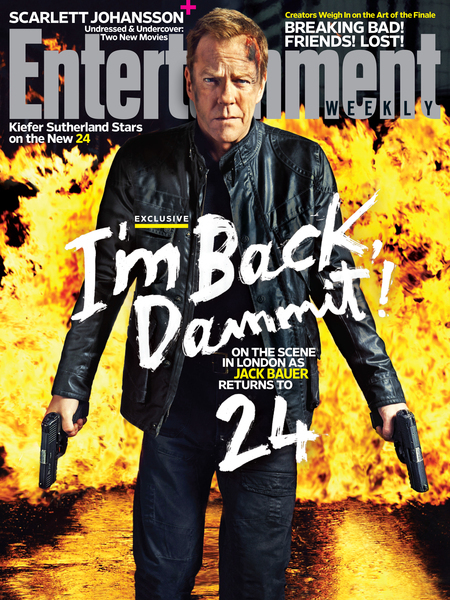 Jack Bauer is also gracing the cover of Entertainment Weekly, take a look below!